This is the third post in a series of posts I am sharing with you to help you better make the most out of Google Scholar. 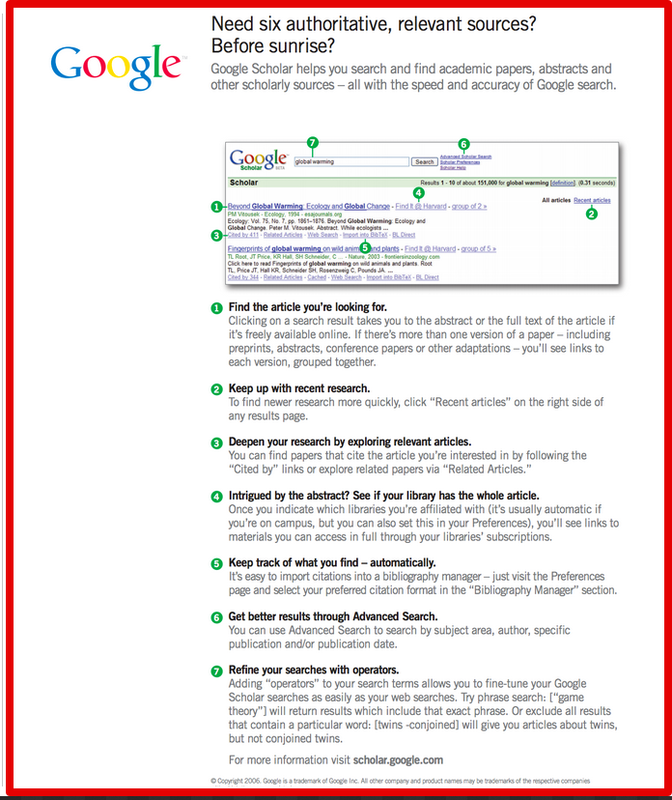 After we have learned how to effectively search Google Scholar and how to sift through its search results, today's resource features 7 important tips on how to easily find and access academic and scholarly articles. It is a sort of anatomy of how Google Scholar works and how to use each of its salient features. I find this document really helpful and can be used with students in class to help them discover the potential of this academic search engine. This document is also available for free download from this link. For more resources on Google Scholar, check out this page.